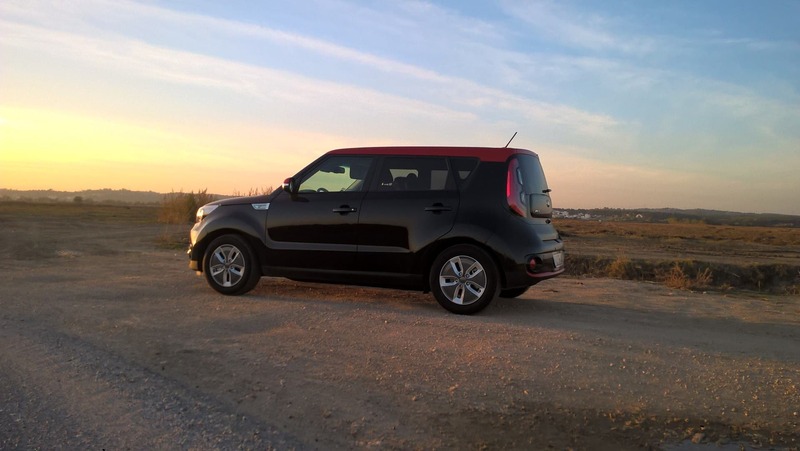 This is a story of someone jumping from a gas car to a fully electric car, replacing a much loved 15 year old Honda for a brand new Kia Soul EV. 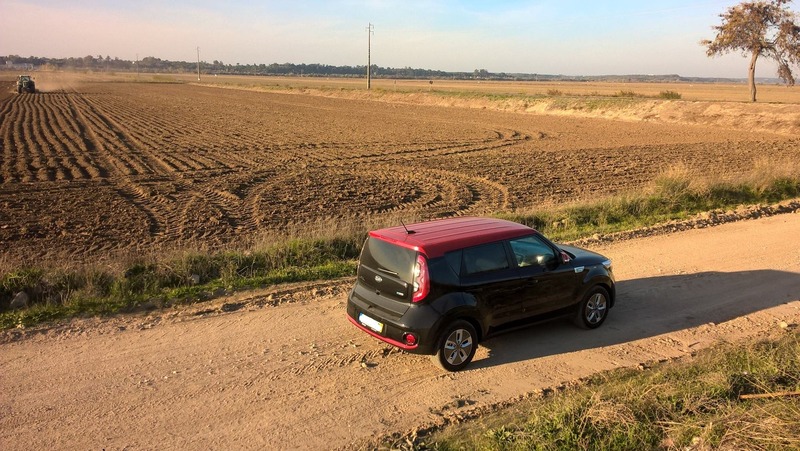 I explain below why I chose this car and some first impressions, as well as my first days in the adventure of using public charging infrastructure, due to lack of home charging. My Honda Fit, known as “Jazz” in Europe, because “Fit” sounded a bit too similar to a certain part of the female anatomy in some Nordic languages, made it into my hands just when I got out of college, and throughout the years I have loved the car because it did everything I asked with a smile on its face. I did throw a lot of stuff at it, from the time it took 7 people from the nightclub back home, to countless camping trips, moving furniture from home to home (including a two-seat sofa — true story) or a whole living room of furniture (yes, really!). Along the almost 300,000 km (186,400 miles), it never broke down. Besides the usual stuff (tires, filters, etc. ), I only had to change batteries and brakes. More than a car, it was more like a pet, a reliable part of our family. Lately it was working as city car, going to get groceries, doing commutes, or being thrashed around running the busy streets of Lisbon, whenever necessary. But the years of “living la vida loca” and no garage to protect it from the weather were starting to take their toll. Not only did the paint make it look like it had escaped the scrap yard, but strange noises were appearing and the back bumper was (literally) secured by ropes. It was time to let it go. Goodbye, little Honda, we will miss you. Who will be my new sweetheart? Have 200 km (124 miles) of real-word range. Well, the Kia has a 7 year warranty, while the VW has only 2, so the Kia is the better car! Anyway, after these first contacts, three cars stayed for the final round: BMW i3, Kia Soul EV 30 kWh, and Renault Zoe R400, in that order. Me: So, does the car have a warranty? Salesperson: Engine, gearbox, and battery. Me: So, basically, your warranty doesn’t cover anything. Me: So, in practice, you do not offer any warranty, am I correct? Salesperson: No, I mean … (lame excuses). Salesperson: No, the boss’s son is driving it. Me: So, when can I see it? Salesperson: The boss’s son took it on holidays, so come here 10 days from now. So, BMW i3 was out. Kia and Renault remained. 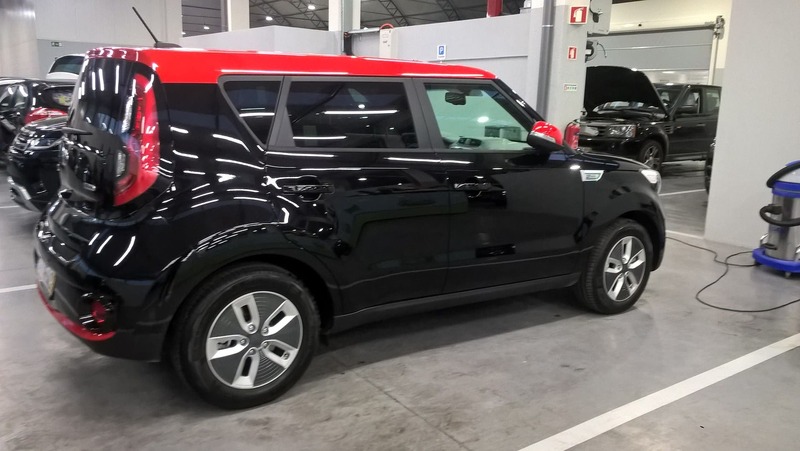 In a Kia dealership outside the big metro areas, I found a nice Kia Soul EV demonstration unit in black and red, just like I would have configured it, but most importantly, with a big, nice discount. As for Renault dealerships, demonstration units were all accounted for, and if I ordered a new one, I would have to wait 4 months for it, so it was best to forget asking for a big, nice discount, as I had at Kia. This placed the Kia as cheaper than the Renault, and I liked the Korean — it was better finished, had more space, and … had loads of personality, something I appreciate in a car (the BMW i3 also has oodles of it, but while the German EV is a cross between a Stormtrooper and an angry puppy — about to chew your leg — the Korean reminds me of what Leonard Hofstatder from “The Big Bang Theory” would be look like if he was a car. The good thing about the Zoe is that it has more range, but all things considered, including the main trips/commutes to be done, the 180–200 km range of the Soul EV would be enough, especially considering I have a CHAdeMO charger some 8 km from home. 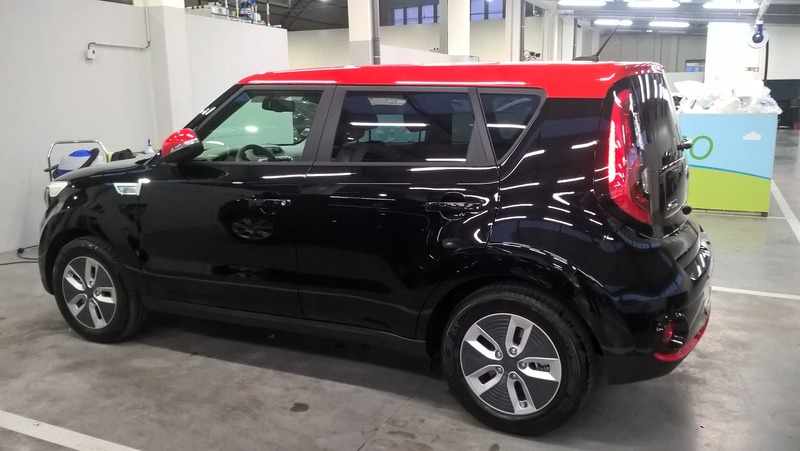 So, the black Kia Soul EV it is. … living on the border between the Lisbon metro area and “Portuguese Texas,” with plenty of bulls, pickup trucks, and farmland.